Bob Duty (L) and Lakota Raphael (R), conservation officers for the Grand Traverse Band of Ottawa and Chippewa Indians, stopped by to enjoy some pancakes in the tribe's sugar shack in Peshawbestown. This year, the Grand Traverse Band of Ottawa and Chippewa Indians purchased a new sap evaporator. Maple sugaring season is just wrapping up in northern Michigan. This delicious tradition of boiling maple sap to make syrup is practiced in the state on many scales. But Indigenous communities in the area were tapping trees long before settlers arrived. This year, the Grand Traverse Band of Ottawa and Chippewa Indians is reviving sugaring knowledge for their citizens. For the Anishinaabe, a group of Indigenous peoples that includes the Ojibwe, Odawa and Potawatomi, early spring is sap boiling season. As with other parts of their culture, colonization and forced assimilation mean many Anishinaabe kids have grown up not knowing about maple sugaring. Desmond Berry, the natural resources director for the Grand Traverse Band, wants to change that for his tribe. So on a day in early March, he is overseeing a steam-filled sugar shack in Peshawbestown. “We wanna bring the community here and teach them how to do this,” he says. According to Berry, sugaring has always been a group effort. This year, Berry's tribe bought brand new sugaring equipment, including a massive wood-fired evaporator. They invited all of their citizens to come participate. They’ve got some trees outfitted with simple metal taps and sap bags. But they also have a more contemporary setup. A web of tubing connects hundreds of trees to a main line which sends sap downhill to a collection tank. Berry says that the other day, they were collecting 25 gallons of sap an hour. Today, they’ve got 500 gallons to boil. The evaporator bubbles, sending sap from compartment to compartment as it gets closer to syrup. Some finished syrup is sitting in a warmer. Somebody flips pancakes on an electric griddle. People laugh, drink coffee and tell stories. One toddler’s face is looking rather sticky. Melissa Petoskey is a tribal citizen who came to see the boil. She tells an Anishinaabe maple sap origin story. It says that concentrated maple syrup used to flow directly from the trees. But then, a spirit thought people were getting lazy, and turned the syrup into sap. Many versions of the story say it was Nanaboozhoo, the Trickster Spirit. In Petoskey’s version, it’s Gichi-manidoo, the Great Spirit. Desmond Berry says the syrup is too precious to be sold. It will likely be served at community gatherings, used to feed elders, or given as gifts to important visitors. This story was featured on Points North. Listen to the full episode here. In western Oregon, members of the Confederated Tribes of Grand Ronde are engaged in a debate over what it means to belong. 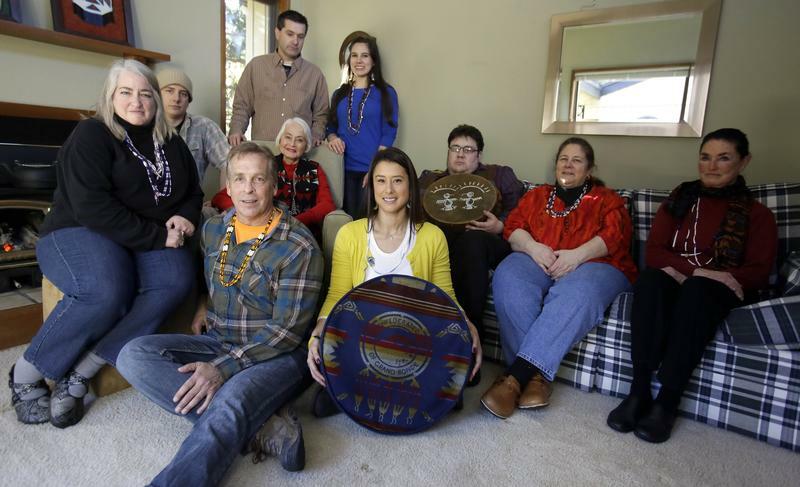 The tribe's enrollment committee is considering kicking out an entire family that traces its lineage back to the founding of the modern tribe more than a century and a half ago. The family is related to Chief Tumulth, leader of the Watlala, a tribe that controlled river traffic along a key section of the Columbia River.